Recently one of my favorite 6th grade girls was at our house visiting. She LOVES cooking (almost as much as I do), so as she tasted each item of food from our table that day, she asked about the ingredients and how I had made it. Super cute! Indeed. All of Ms. Laura’s recipes are simple, and many of them do only use five or fewer ingredients. High fives all around! 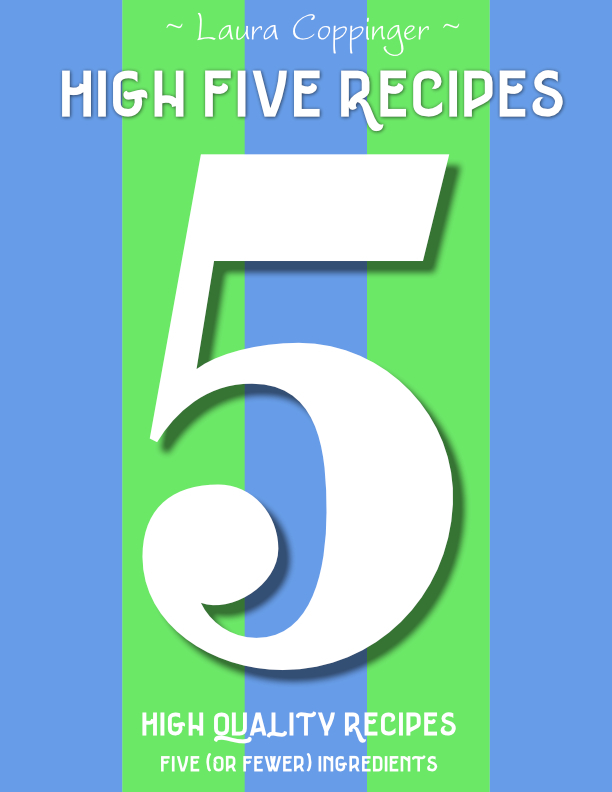 You’ll find our High Five Recipes eBook here, and you’ll love it because there are 111 recipes that come together in no time. Meanwhile, we’ve got a new cookie recipe to share, and it uses only 4 little ingredients! If you’ve tried our Sweet and Simple Butter Cookies recipe, you’ll see that this is the exact same recipe with a key flavor ingredient switched. Sub vanilla extract for almond extract and suddenly the taste of this cookie changes significantly. 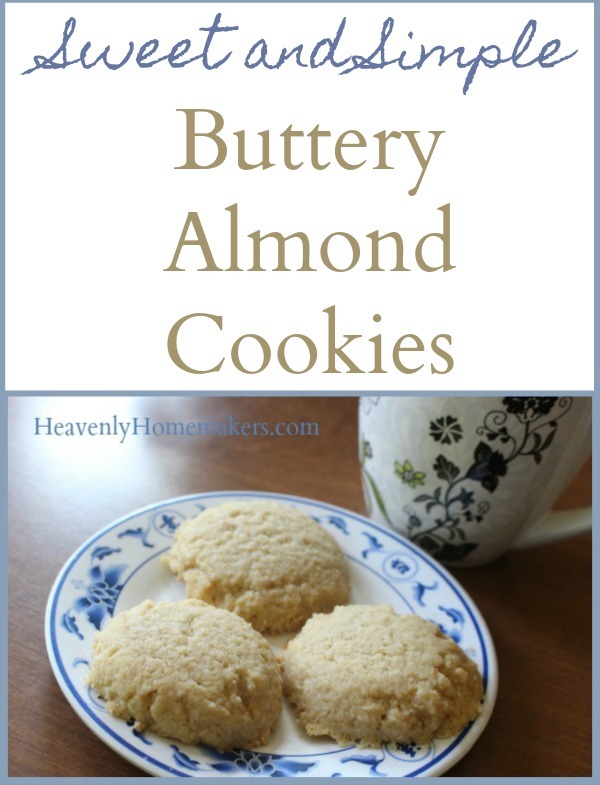 I can’t decide which I like better, but it doesn’t matter because they are both buttery and light, low in sugar, and delicious! How fun that one little tweak creates a brand new cookie! 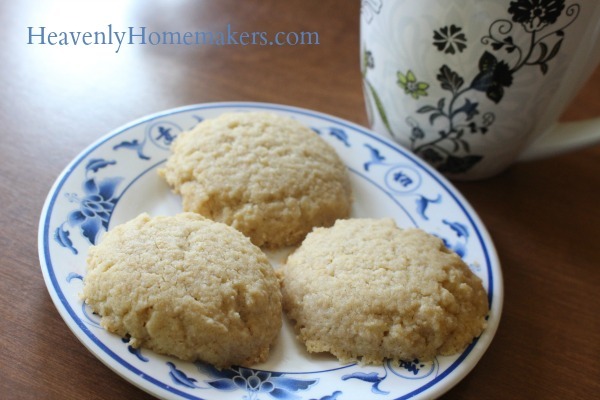 Enjoy these cookies with a cup of tea or coffee. Enjoy them with a friend. Enjoy them during quiet time with God. Get 111 more High Five Recipes to simplify your real food kitchen! How much is “?-1/2 cup sugar” — ? Thanks. Weird! I have no idea why it posted that way! I fixed it! (1/3-1/2 cup of sugar) Thanks for pointing that out! Recipe stated melted butter, but to cream with sugar?.? Recipe says add vanilla not almond extract. When I mix melted butter with sugar and flour the dough is like little pebbles.